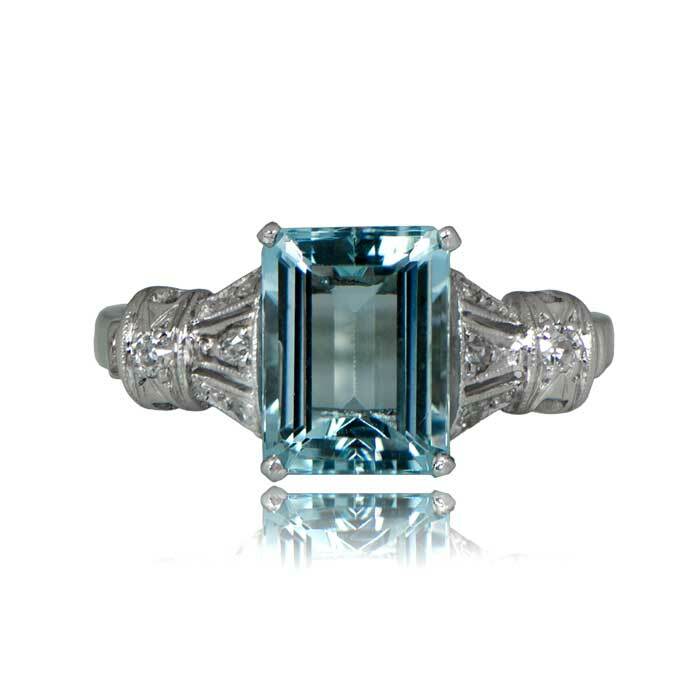 A beautiful vintage aquamarine ring, adorned with diamonds along the shoulders, and highlighting a stunning emerald-cut aquamarine. 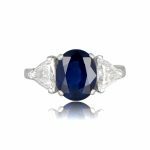 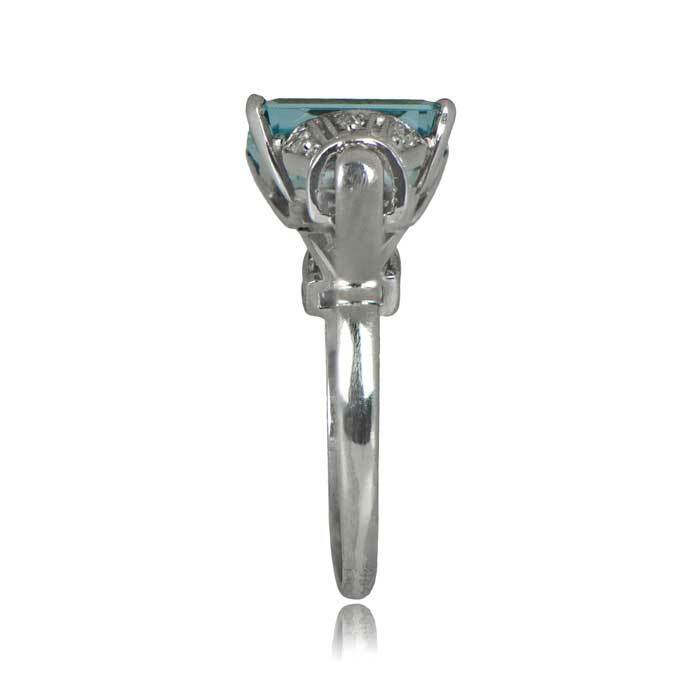 The center stone is prong-set in each corner and sits flush against the accenting handcrafted platinum work. 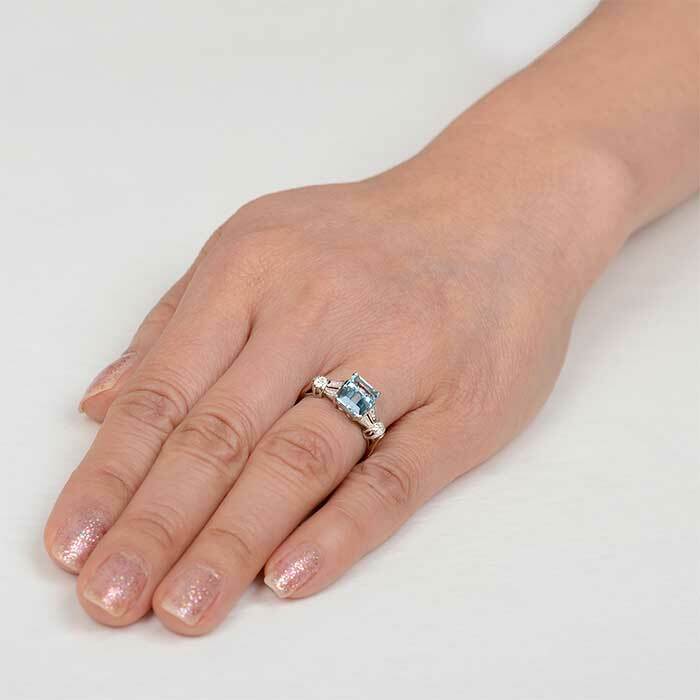 The aquamarine is very lively and weighs approximately 2.10 carats. 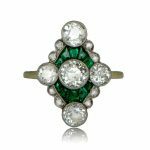 This vintage ring was handcrafted during the Art Deco Era, circa 1930. 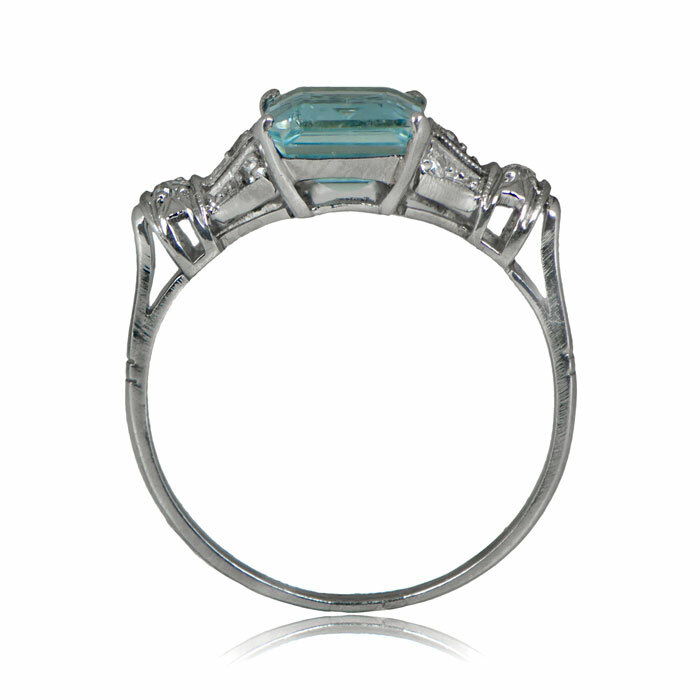 SKU: GS108 Categories: Aquamarine Engagement Rings, Vintage Cocktail Rings, Vintage Engagement Rings - Contact us and request additional pictures.